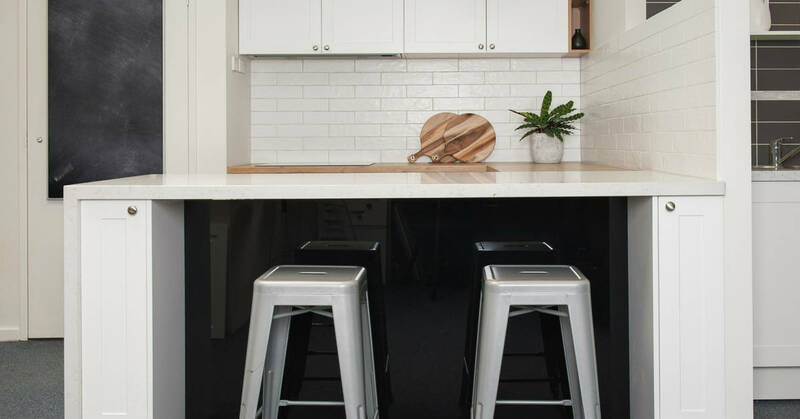 Traditional kitchens have always been popular, but thanks to TV shows like The Block, they have become very trendy. New versions are incorporating modern design elements helping them blend easily in contemporary homes. The traditionally-styled kitchen is sometimes a bit misunderstood as unfashionable, dowdy and dated. Nothing could be further from the truth. 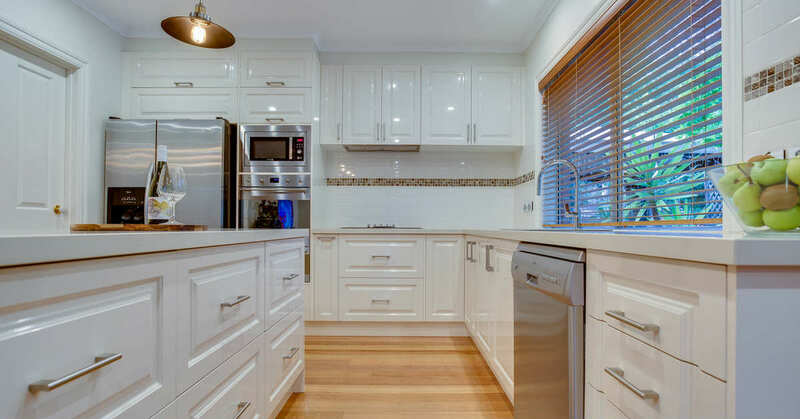 A traditional kitchen can be very elegant, have all the trappings of luxury and can boast a very edgy fitout. But first, a look at what exactly a traditionally-styled kitchen is. Traditional kitchens have very distinctive joinery. Hampton is a great example of a traditional kitchen. It takes its name from homes of Hampton, NY, a popular beachside holiday town. A Hampton kitchen is typically white or pastel, airy and drenched in natural light. This Hampton kitchen has a lot of detail. The joinery on the door panels is extended by the handles, knobs and the simple splashback. The furniture and lighting takes the design further – infusing an old-world charm and warmth to the kitchen. Getting the look of a traditional kitchen right is all about choosing the right accessories. When buying a new kitchen a designer is always on hand to make the right recommendations. 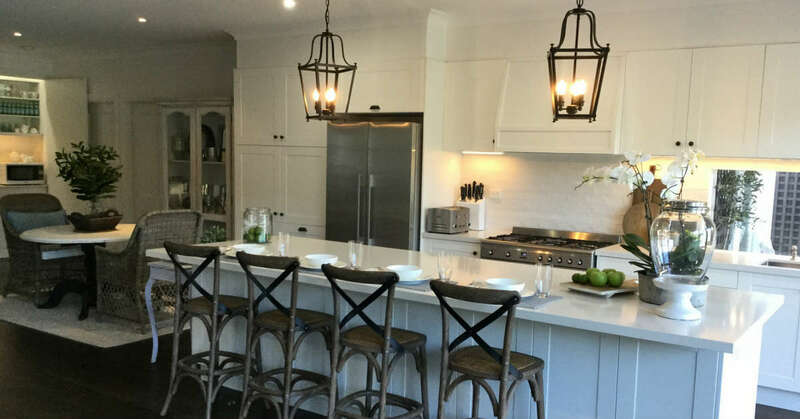 The Hamptons kitchen is now making a comeback in a new avatar. This one below is from our Nunawading showroom. It blends the traditional look with the popular Scandinavian style. This not gives the kitchen a contemporary look but it works brilliantly with Scandi furniture and accessories. The timber adds warmth and colour, which is also picked up by the lighting. It is a very cohesive, well thought out design. One way to make a traditional style look even more contemporary is to go handle-less, a design largely used in modern kitchens. This one below is classic and elegant and will outlast any design trend. Colour is another variation that can give the kitchen a completely different look. 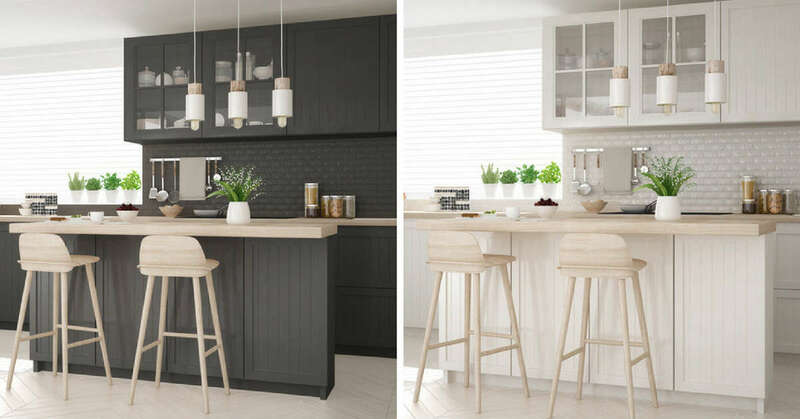 From traditional to contemporary, the Hampton kitchen can be styled to your personal taste. That’s how versatile it is. Epicure is another one of our styles that is characterised by the detailed joinery of the cabinet doors. These kitchens are all about quality finishes and luxury. Here’s one we did for a client. The high gloss of the two-pack gloss highlights the detail on the cabinet doors, reflects light, enhancing the spaciousness of the kitchen. The accessories – in this case the lighting and the door handles are perfect for the design. The trim of coloured tiles on the white splash add another layer of detail. The concealed range-hood and sleek appliances are modern design that blends in beautifully with the overall look. Here’s a really important tip if you are looking at buying a new kitchen in a traditional style. As you can see, there can be many variations of the same style, and each one has a very different outcome. While doing your research and put together a few images of the look you want. Show them to the designer who can work with you to put together the right colour, finishes and accessories. To see how well a traditional kitchen works in a contemporary setting, drop into our Richmond showroom. Our displays demonstrate exactly how old and new elements blend to create very stunning and contemporary kitchens.